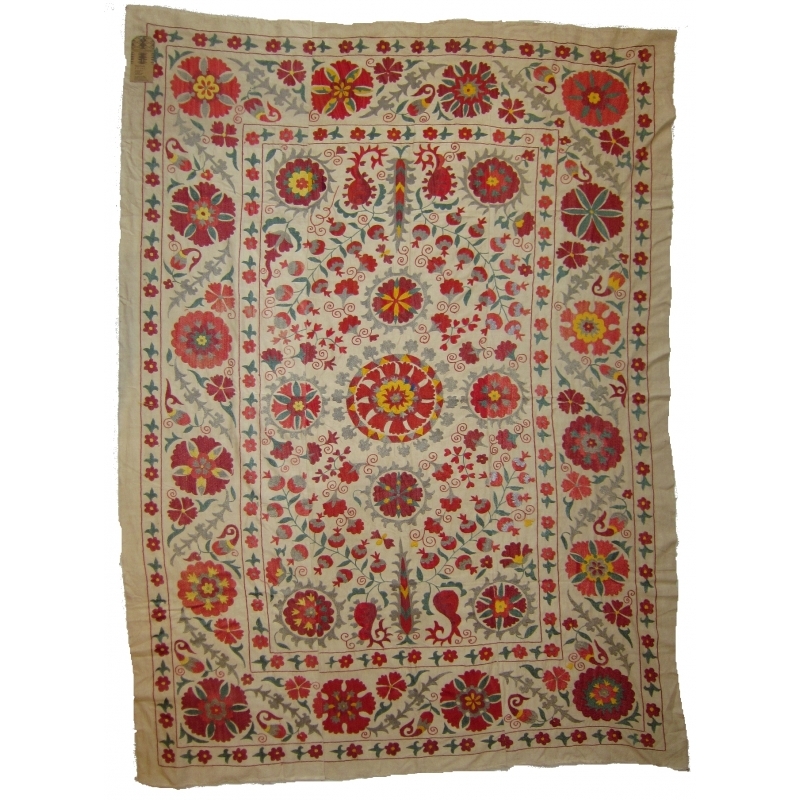 Today, old Suzanis are highly prized as collectable items; they look wonderful loosely framed as a wall-hanging, but can equally be used as a table-cloth or bed-spread, or simply as a beautiful piece of embroidery to be admired & treasured. 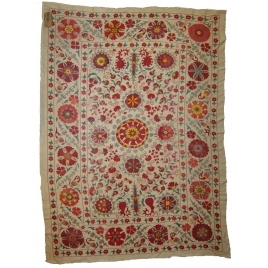 This beautiful cloth is hand-embroidered in silk & features a traditional Ottoman design. It would be equally suitable as a table-cloth, bedspread or as a wall-hanging.